​​KATY – The final phase of LaCenterra at Cinco Ranch mixed-use development on the Grand Pkwy. is set to get underway by Vista Equities Group and Amstar Group. 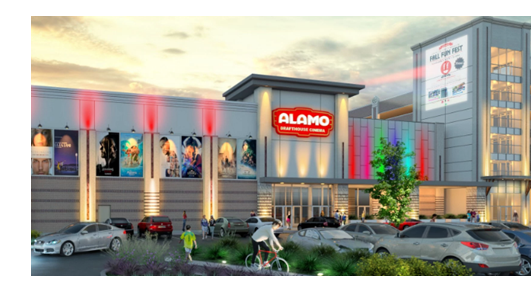 The last phase will be anchored by a 37,000-sf Alamo Drafthouse Cinema, which will have eight auditoriums and an adjacent bar with outdoor patio seating. ​LaCenterra’s final phase will also include 7,500 sf of retail space and a six-level parking garage. When completed, LaCenterra, which is three miles south of I-10, will have 410,000 sf of space. ​Check out more Houston Retail Market Research​.